The "March for Our Guns" rally in Helena, Mont. 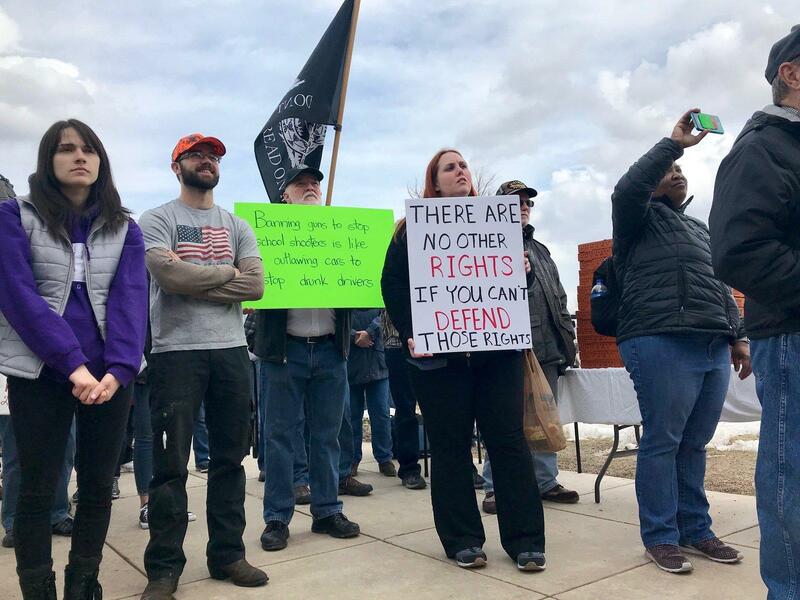 Gun rights advocates will gather in more than 45 state capitols Saturday, organized by the National Constitutional Coalition of Patriotic Americans. The event's participants were urged in some states to bring their unloaded rifles to the rallies. But here in Maine, rally organizer Dave Gulya, of Blue Hill, says that's not going to be allowed. “At the rally in Augusta tomorrow at 2 p.m. is actually in a gun-free zone, there are no weapons allowed, either loaded or unloaded, it doesn't matter, there are no weapons allowed at this rally," Gulya said. Gulya says confusion ensued around the issue after some media outlets reported that unloaded guns could be brought to the rally. Capitol Police Chief Russell Gauvin said his security team will be in place to ensure that participants understand the restriction. "You know people can't bring guns here to this particular event, unlike other State Houses, and hopefully people listen and hear that and we have a nice peaceful event where they can get their message out," Gauvin said. Gulya says that he and other gun rights supporters have felt like outsiders during the national debate on gun control, reluctant to share their views at a time when school shootings and other instances of violence have cast the national spotlight on students and their families. Nearly a month after hundreds of thousands marched through some of America's largest cities in support of tougher gun control laws, Gulya says it's now time for him and other gun rights advocates to have their say. "Well I think so much has been said on the other side about things they want to do to take away rights of gun owners," Gulya said. "It just seems like it's been a slow steady process of kind of chipping away of the bigger picture of what gun owners have right now. They want to take away different parts of our rights of it." In addition to presentations by Maine gun enthusiasts, the State House rally will also feature appearances by several of this year's Republican candidates for governor and Congress.